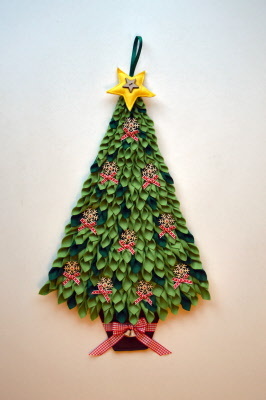 Gail Penberthy has used her new technique of folding felt to create this beautiful Christmas Tree Wallhanging. This has proven to be a best seller at the shows I have attended and it is easy to make. The tree measures approximately 20 x 11 inches.